There is no doubt that a behind-the-scenes look at screenwriting in Hollywood is glitter-dusted. Hollywood is known as Tinsel Town for a reason. Creative endeavors here, among the über beautiful and talented, is a sparkley, happy-making experience. However, what may not be obvious to outsiders is that people here work especially hard. Filmmaking often involves long days. A 12+ hour shooting day is normal. Crews in the industry start early and stay late. 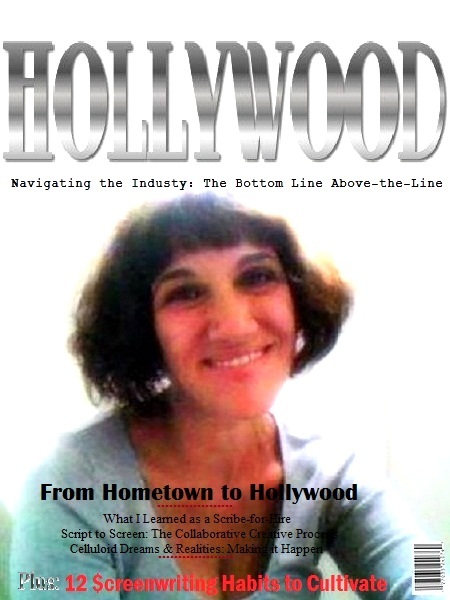 Realistically, a theme for professionals who work in or aspire to work in Hollywood is magnificent obsession. "The Show must go on." That means doing "whatever it takes," to quote Tony Robbins, to get the job done. For a scribe, that can mean endless rewrites, or seriously early and late hours, day after day, or working weekends or holidays. It may mean checking your ego at the door. This is a highly collaborative industry. There is a negative and false gestalt perspective of executives and studios, which floats around conferences for writers, and elsewhere, including an obnoxious perception that executives and studios are cold-hearted business people who don't know sh*t about creativity or story. That has not been my experience. The producers, and other executives, that I've worked with, have had highly developed understanding of story structure and have been passionate and talented. As a screenwriter and ghostwriter, like other industry jobs, a person is likely to see or interact in some capacity with celebrities. The thing about fame and celebrity is that, at the core, a person is a Soul in a human body. However glamorously they are perceived, they are expressing themselves as an art and vocation. Whether they love or hate acting, whether they perceive it as their life’s purpose, or something that they fell into (rare in my experience), most actors take their vocation very seriously. The most successful performers are unusually gifted human beings. This industry isn't about fame or fortune, though it brings that to certain people. 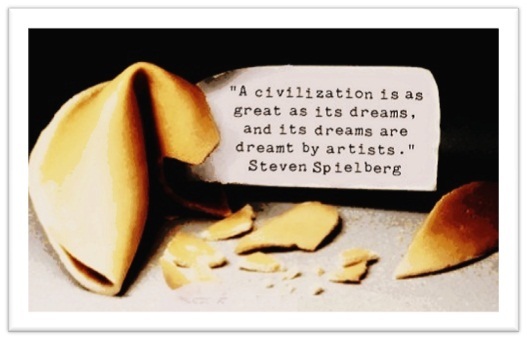 The entertainment industry is about manifesting a dream, a creative vision and genius into reality, in order to craft something of entertainment, financial and imaginative value. The best perk from entertainment industry involvement is creating with other exceptionally talented people. As a highly collaborative writer, it isn't unusual for me to be hired to write with one or more other people; it is terrific fun to conceptualize stories, and go through that creative process, with other people who are accessing their creative genius. It is wildly exciting to brainstorm and create in that kind of fluid creative group dynamic. Of course it is also terrific to work from home, a coffee shop or elsewhere on the planet, take meetings (I find them highly energizing), write and conceptualize, attend screenings, and collaborate with others and see silver screen dreams manifest. I read a book every day as a child and always knew that I would be a writer. I grew up in the Blue Ridge Mountains of Blairsville, GA in a small town. Much of my success in working with people in the industry, I believe, stems from not having ego about the work. I am grateful for the opportunity to write and create for a living. I am grateful to collaborate in community with others. I’m not attached to my own opinions; I am open to learn and be receptive to the artistic input of others. In the industry, being receptive to story feedback is known as “taking good notes.” I’m very comfortable with my own unique sparkle, my personality, as a result of doing and continuing to do inner work. It makes me good in a room (a phrase coined by Stephanie Palmer, a pitch coach and former industry executive). Having grown up on a farm, taught the value of hard work as a child (in a family of six children), I get a near spiritual satisfaction from working hard. H. bleeds ink. She lives in La La land and is a screenwriter, author, freelance writer, creative coach, award-winning speaker and workshop facilitator. She received her Bachelor of Liberal Studies, a self-designed study in screenwriting, from Lesley University, Cambridge, MA. Visit her Amazon author page HERE.